In 1993 when I embarked on my traditional archery journey, it was nearly impossible to find recurves or longbows in Pennsylvania’s local archery shops, and worse, no one in those shops knew anything about traditional bows or where to buy them. With no local options and no internet to speak of at that time, I ended up buying a 1970s vintage Browning Medallion recurve for $25 from a second-hand store in Clarion, Pennsylvania. The Medallion was part of Browning’s target line and at 64 inches and 46 pounds it turned out to be a great starter bow. I still have it today and shoot it often. Around the same time, I picked up a copy of Jim Chinn’s book, Winds of Change, which proved to be an excellent primer on how to tune and shoot traditional bows. The situation today for traditional archers is very different! There is a dizzying array of information on bows and related equipment. I recently counted 121 bowyers listed on a popular web site for traditional archers. Think about that. One-hundred-twenty-one businesses, from Mom and Pop operations to corporations, specialized in making and selling traditional bows! By all accounts, the good old days are now! With more choices comes the difficulty in making good decisions. There are recurves, American longbows, hybrid longbows, Asiatic bows, flatbows, bamboo backed bows, selfbows, and the list of styles goes on. Add to the list of bow styles, the availability of different grip types, such as low, medium, or high and dozens of custom options, including working recurve or static recurve limbs; wood or foam limb cores; fiberglass or carbon backing; clear or colored glass; checkered or stippled grip; single or double string nocks; and so on. It’s easy to see how confusing the choices can become for even a seasoned shooter, let alone a newcomer. Another twist in this new age of traditional archery is that these bows aren’t inexpensive, with most quality American made bows starting at around $600 and going up to more than $1,500. Purchasing the wrong bow, such as one that’s too heavy or doesn’t fit your hand, can be costly. The purpose of this post is to provide some basic advice on selecting the right bow that will serve you well and suit your shooting or hunting style. 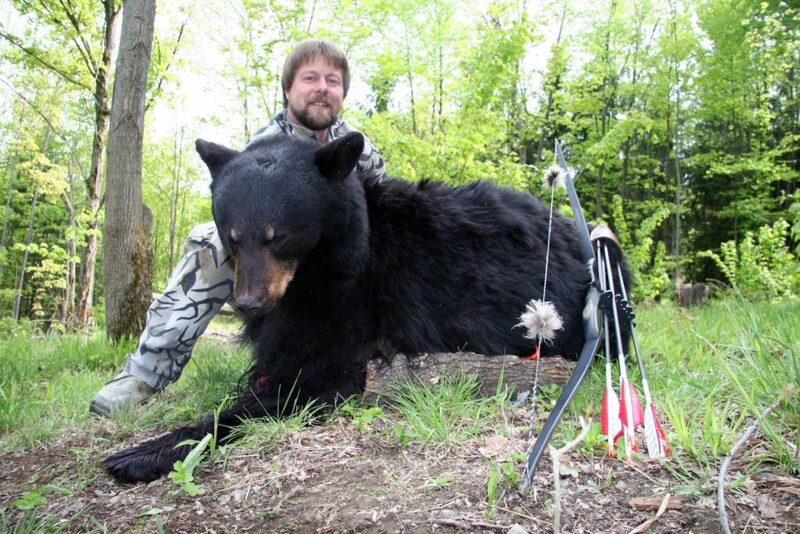 First, don’t fall into the trap of buying a particular bow just because 10,000 Joe Bowhunters on the Internet said it was “by far the best bow they have ever shot.” Seeking advice from Internet discussion forums or members of your archery club is a good idea, but always measure that advice against your own needs as an archer and bowhunter. Your best hunting buddy, Butch, might extol the virtues of his 70 inch, 75 pound English longbow, but you should make sure that type of bow fits your needs before plunking down your hard-eared cash for something similar. Also, don’t judge a bow by its cost. Just because it’s more expensive does not mean it is better. Some of my most disappointing purchases have been high-end bows that just didn’t hold up to their hype. It’s often difficult to give fellow archers advice on buying a new bow because everyone is different. So, before I get started with specifics I’d like to throw out a few caveats. I’m 5’9” tall, medium build, and middle aged. What fits me might not fit you. For hunting, I use climbing tree stands, ground blinds, and sometimes a ghillie suit. My style of hunting might not match yours. I shoot three fingers under, aim “instinctively” at less than 25 yards but use the tip of my arrow for longer distances. My form might not concur with yours. In other words, what works for me, might not be the exact ticket for you. I can give you some tips to get you on the right path, but the fine-tuning will be up to you. The first question many newcomers have is: “should I shoot a longbow or recurve” and, in fact, it’s a good question for experienced shooters, as well. In the past, most authors have urged those considering the traditional bow to start with the recurve because it’s “easier to shoot.” Fifteen years ago that was probably true. But I believe today’s modern longbow designs rival recurves in their shootability, particularly because of a convergence in grip styles. Older longbow designs, such as the Hill style, with its short riser, straight grip, and narrow arrow shelf can be difficult to tune and shoot. Today; however, there are numerous bowyers making straight-limbed bows with long risers and pistol style grips that make hand placement easy and consistent. To understand the difference, imagine gripping a broom stick versus the thumb-hole stock of a custom rifle. Don’t get me wrong, one isn’t better than the other, but the skill required to be successful with each is certainly different. In other words, if you are new to traditional archery or simply struggling with your shooting, choose a bow with a contoured grip and arrow shelf that is cut to center (or nearly so) and don’t worry too much about whether it has recurved or straight limbs. The term “shootability” gets tossed around a lot in archery literature and it’s an important concept to understand when comparing bows, but no one ever takes the time to define it. For me, shootability means a bow that is forgiving toward errors of form so that it does not exaggerate shooting mistakes or shot-to-shot inconsistencies. A bow should not pinch the fingers of your drawing hand and should draw smoothly without rapid weight gain (no more than three pounds per inch) to your draw length, especially the last two inches. A little “bump” or hand shock after releasing the string is fine, but it shouldn’t be distracting or uncomfortable. Finally, a bow needs to shoot where you are looking. All bows can be tuned to do this, but I find it bothersome when I have to set up a vastly different arrow than my others to make two bows of similar weight hit the same spot. After deciding on a basic bow style, one of the first decisions a new archer must make is whether to buy a take-down or one-piece bow. If you plan to do a lot of traveling and need the convenience of a bow that breaks down into shorter sections, then a take-down is often the best option, but there are other reasons to choose one design over the other. Take-downs cost more money, but offer the flexibility of buying additional limbs of varying lengths or weights—a nice feature if you plan to use the same bow for hunting spring gobblers and bull elk. Several bowyers even offer take-down models with risers that will accept longbow or recurve limbs. Take-downs tend to have more physical weight, which might be perceived as a negative, but many shooters, me included, find the extra mass in the riser to have a stabilizing affect. Some bowyers offer two-piece take down bows that have a connection such as a sleeve or hinge that joins the two halves. Two-piece take downs retain the look and feel of a one piece bow, but after owning a few I’m not a big fan. Two-piece bows don’t offer much of an advantage for traveling. With a two-piece, 64 inch bow you still have two 32 inch long sections to wedge into your luggage. With a three-piece bow, no one piece generally exceeds 24 inches, making packing much easier. On trips, I often carry a three-piece longbow in the “false bottom” of a duffle bag without anyone knowing it’s there. On several backcountry hunts, I have carried a three-piece bow tucked in my backpack or in a horses’ s pannier until it was time to hunt. If one side of the coin is convenience, the other is simplicity. There is definitely something to be said for the straightforward, gracefulness of a one-piece bow. It’s akin to handling a perfectly balanced bamboo fly rod. If you plan on using one bow for all of your hunting and 3D shooting needs, then the versatility of the 3-piece take-down is great; however, if you can afford to buy different bows for varying purposes and don’t plan to travel much, then the always-dependable one-piece will work fine. I shoot both and like them equally well. As with most things in life, when it comes to bows moderation is the key. When you go to extremes there is usually a compromise. Generally speaking, bows with radical limb designs tend to be fast but finicky to shoot, while more conservative designs, less focused on maximizing speed, are more forgiving to errors in form. A radical reflex/deflex longbow might be advertised to shoot nearly 200 feet per second, but if you can’t consistently put an arrow in the kill zone at realistic hunting yardages, then all the speed in the world is irrelevant. A slow hit is better than a fast miss! Look for well-rounded bow designs that don’t compromise certain traits, such as shootability, in favor of other characters such as speed. Even within a particular bow design, going to extremes can prove troublesome. For example, very long bows are smooth to draw but inconvenient in the woods, while short bows are more convenient but tend to telepath errors in shooting form. The thresholds where these characteristics begin having negative consequences are different for each shooter. For instance with my 27 inch draw, longbows of 60 to 64 inches and recurves from 58 to 60 inches seem to shoot best for me; however, many archers comfortably shoot bows much shorter or longer. If you’re just getting started and are of average build, I’d recommend staying away from bows less than 58 inches and more than 64 inches. A very important consideration is the bow’s grip. Whether you’re shooting a longbow or a recurve, the grip needs to comfortably fit your hand to facilitate repeatable hand placement. Even if a bow is otherwise properly proportioned, a grip that is too large or small, or places the hand in an unnatural position can compromise your shooting. An ill-fitting grip will contribute to bow torque, hand slippage, and an overall lack of confidence. There are many grip styles to choose from. Traditional style longbow grips that are straight or contoured with a slight locator are the most difficult to master, but offer the ability to be shot with a low, “heel-down” wrist position, which makes the palm of the hand a natural extension that flows into the bow’s riser. Highly contoured pistol style grips found on many recurves and contemporary longbow designs facilitate repeatable, high-wrist hand placement that promotes consistency. With a high wrist the bow’s grip is more or less cradled in the web formed by your thumb and forefinger. If you’re just starting out or switching from a compound, I’d recommend a contoured grip over a straight grip until you master the basics of shooting. I know you’ve heard it before, but no advice on bow selection or shooting would be complete without saying—don’t “overbow” yourself! Start with a light to moderate weight bow and work yourself up if you feel the need to be shooting something heavier. For most adult men, 40-50 pounds at the desired draw length is a good place to start. For women, I would recommend 30-40 pounds. The fact is, a 45-pound bow is plenty for deer hunting and a 50-pound bow is perfectly adequate for most North American game. Many writers recommend hunting with the heaviest bow that you can shoot comfortably, but what does that mean? I can shoot a 75 pound bow pretty well for a handful of shots. Does that qualify as comfortable? I doubt it. I could never shoot such a bow under pressure or in poor conditions, such as cold weather. Some years ago I hunted in Georgia with shooting guru G. Fred Asbell. One evening, Fred gave a seminar to a group of hunters and in it he talked about the importance of appropriate bow weight. He had the group try this little exercise. With your bow in hand, bend at your waist until your back is parallel to the ground. Now draw and hold your bow for 10 seconds. If this comes easily, you’re good. If not, you might want to consider a lower weight. Judging by the primordial howls emitted by Fred’s participants, I’d say most were way overbowed…or at the very least expressing some hidden, inner Neanderthal! For many years, I shot bows that pulled more than 60 pounds, but in recent years I’ve changed shooting styles and dropped bow weight by 10 pounds. I’ve seen no difference in arrow penetration on big game and I shoot far more accurately at the lower draw weight. For my physical size, shooting form, and hunting style three bow designs seem to get the job done better than the others—1950s style recurves built on a pattern similar to the venerable 1959 Bear Kodiak, reverse handle reflex/deflex longbows like those made popular by the Shrew bow company, and three-piece take-down longbows. The key is to find the design that feels most natural and easily becomes an extension of your body. Aesthetic qualities aside, look for a bow that hits where you look, fits your hand, has minimal hand shock, is quiet, pulls smoothly without stacking to your draw length, and has good speed. There’s no substitute for practice, but selecting and shooting a bow that’s well matched to your needs will go a long way to making you a more successful archer and bowhunter.